A Postcrossing post card from Alma, who works in this building. 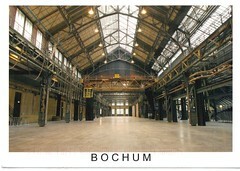 It’s a concert hall / performing arts centre that was converted from an old factory. Next Next post: "Norway. Storm off the coast of Finnmark"